Offered Photo Album Folder is widely demanded by clients owing to its design and quality. Keeping the diverse requirements of the customers in mind, our company is involved in offering superb quality range of Tree Photo Holder Stand. We have photo frames are solid, single color, usually a brown that shows age, sometimes with a contrast stitch that emphasizes the photograph. Unique Generations Photo Tree Frame is an artistic personal way to Showcase your Treasured Photos. 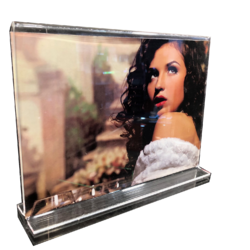 This Beautiful, Touching Display Piece is an Ideal addition to any existing decor.